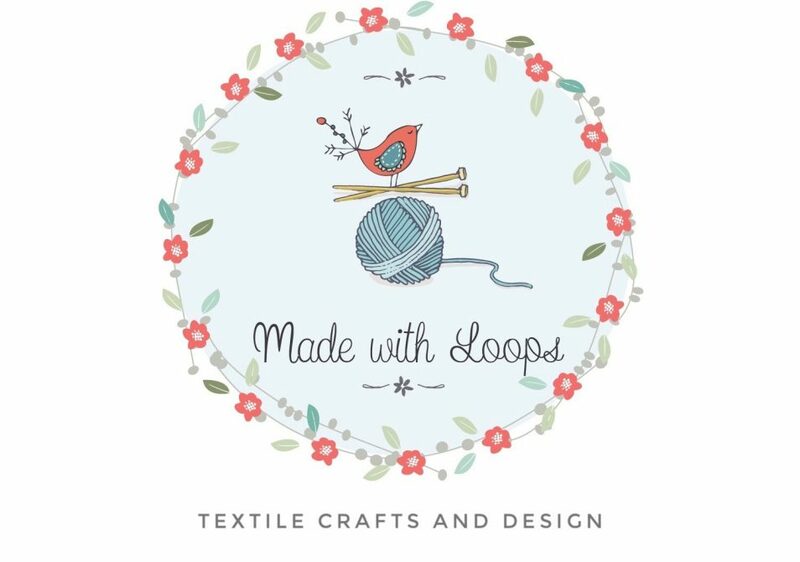 My love for all things textile began when I was a little girl in Germany and I was taught to knit and crochet by my grandmother’s. Ever since then I have had a close relationship with yarn and colour, and in recent years I have been lucky enough to fulfil a long dream turning my passion into a small business. 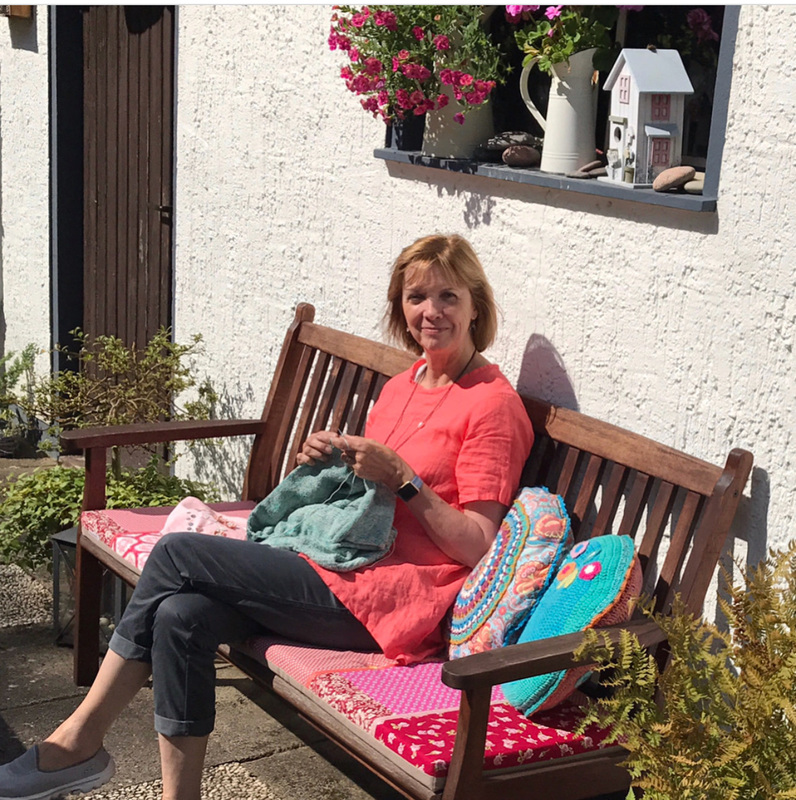 Living in Wales means being surrounded by sheep and I have watched them grow, being shorn, the fleeces being washed and carded and I have been on a spinning course learning how to transform fibre into yarn. 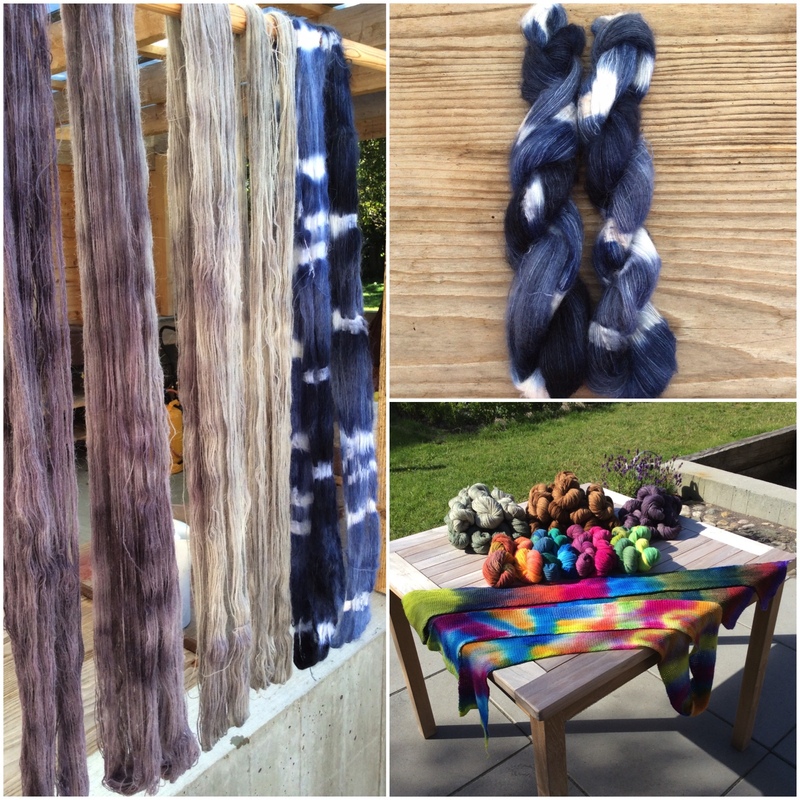 There was only one thing missing: Learning how to dye! 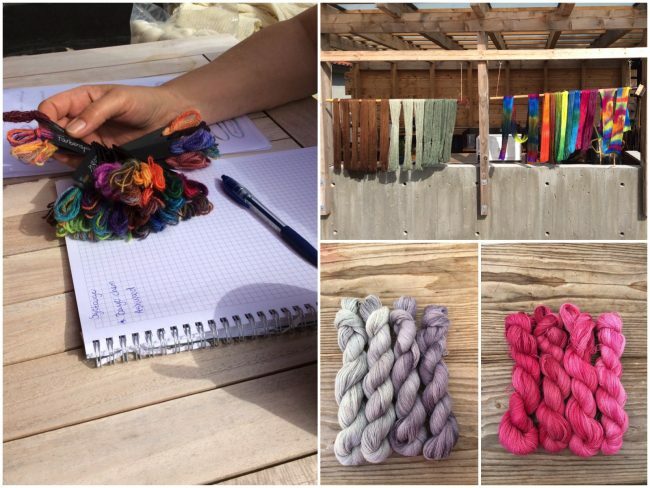 My chance to go full circle came when a friend of mine invited me to accompany her to Denmark where she was teaching a three-day workshop on dyeing yarn using natural and synthetic dyes. Of course I jumped at the chance! The Baltic coast holds a special place in my heart having spent many childhood holidays there with my family. 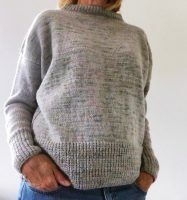 To this day I favour simple design lines that are often influenced by Scandinavian styles and I was looking forward to the trip with joy in my heart. 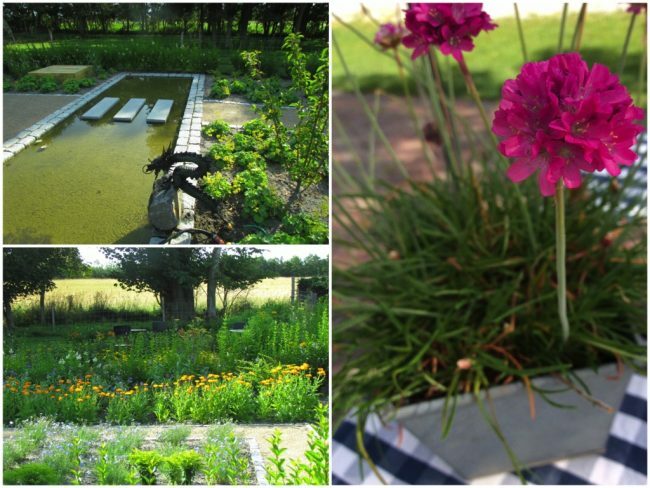 The venue for the week was high up in northern Denmark in a beautiful setting, with a specially planted dyeing garden, that was in full bloom during the workshop, and had it’s own dragon spewing water. 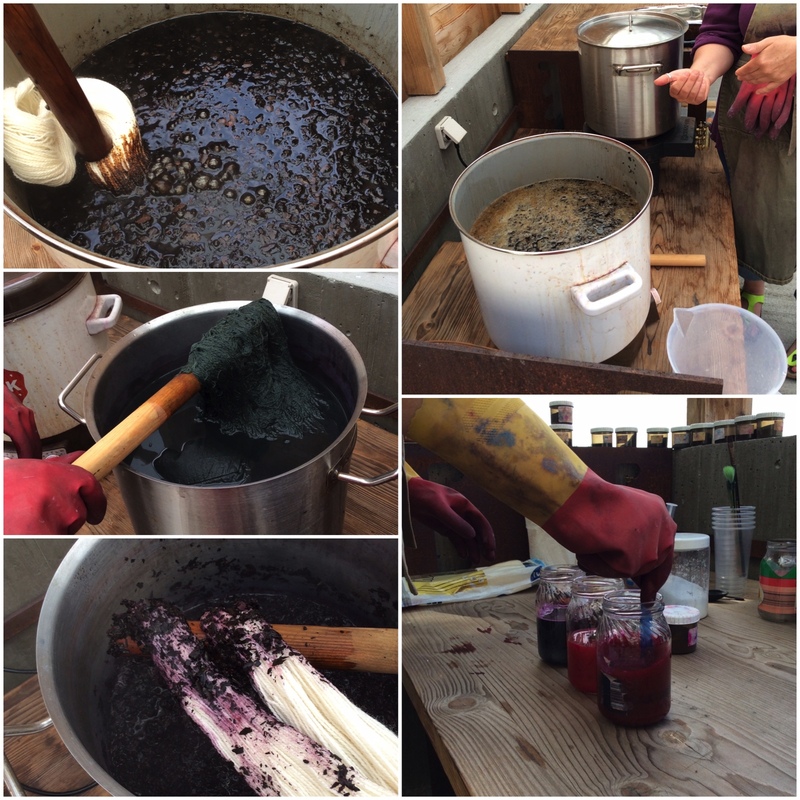 During the next few days we were given an overview of dyeing with natural materials such as logwood chips, walnut and cochineal beetles, as well as using some ready made synthetic powders. We were taught the importance of setting up the workspace, dye baths and preparation of yarn ready for dyeing. The importance of choosing dyestuff and yarn carefully became clear to us very quickly as we learned that it is comparable with choosing ingredients for a favourite recipe: Everything must be in harmony with each other in order to get the result you hope for and end up with beautifully coloured yarn that you will want to work with. 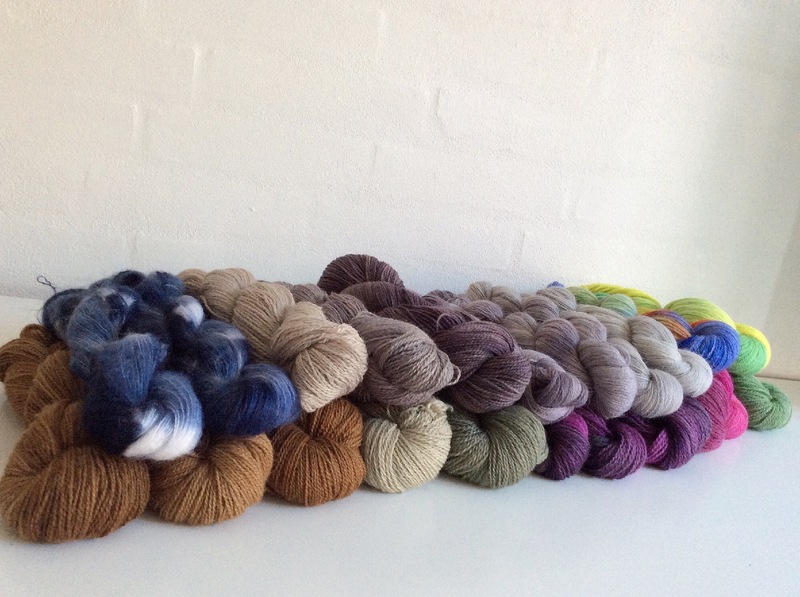 As I prefer working with natural fibres I chose two different yarns to dye: 100% Baby Alpaca and an 80% Wool/20% Silk Mix. 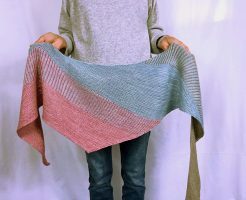 I tried various techniques of dyeing, some more messy (walnut bath) than others, and I also used some of the dye baths more than once achieving strong to faded colours perfect for ombre knitting. 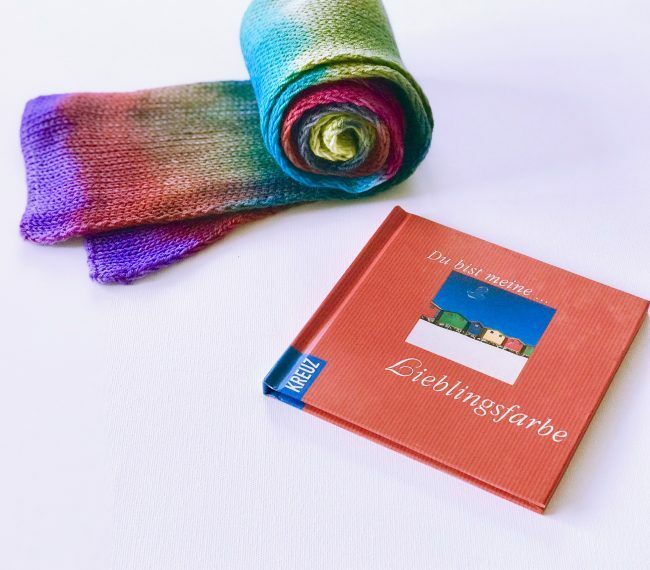 After working with natural as well as synthetic dyestuff, practising anything from circus bright’s to subdued and tonal colours, the icing on the cake was trying our hands at indigo dying. For this exercise I chose to dye a beautiful lofty Kid Mohair yarn, and not only was the playing with tie-dyeing indigo immense fun; the end result was stunning! Sadly as always when you are having so much fun time flies by and before we knew it we had to tidy and wrap it all up. During these few days I made new friends, laughed a lot and learned a lot, and by the end of it I came away with a suitcase full of yarn all hand-dyed by me and just waiting to be made into beautiful items. 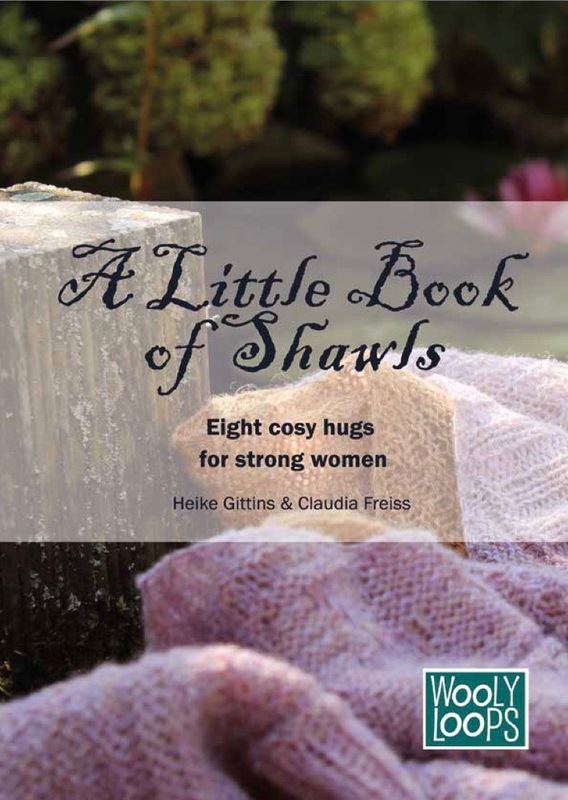 Come back soon to find out more about sock blanket knitting!